The United States voted against a U.N. resolution condemning America's economic embargo against Cuba on Wednesday, reversing last year's abstention by the Obama administration and reflecting worsening U.S.-Cuban relations. Israel joined the United States in opposing the embargo resolution, which was overwhelmingly approved in the 193-member General Assembly by a vote of 191-2. That was the same vote as in 2015. Last October, then-President Barack Obama's administration abstained for the first time in 25 years on the embargo resolution as the U.S. leader and Cuban President Raul Castro moved forward with the historic warming of relations between the two countries. Diplomatic relations between the United States and Cuba were broken in 1961 after Fidel Castro took power and installed a communist government. Raul Castro, his brother, and Obama officially restored relations in July 2016. Before Wednesday's vote, U.S. Ambassador Nikki Haley said the United States will continue to oppose the embargo resolution "as long as the Cuban people continue to be deprived of their human rights and fundamental freedoms." Haley said no doubt some people won't understand why President Donald Trump's administration is "energetically" opposing Obama's position. She said the American people chose a new president and the United States will vote against any resolution calling for the lifting pf the embargo "as long as the proceeds from trade with Cuba go to prop up the dictatorial regime responsible for denying those (human) rights." "The United States does not fear isolation in this chamber or anywhere else. Our principles are not up for a vote," she said. "We will stand for respect for human rights and fundamental freedoms that the member states of this body have pledged to protect, even if we have to stand alone." Cuba's Foreign Minister Bruno Rodriguez condemned Haley's "disrespectful, interfering statement," saying "she is reflecting the tenor of U.S. politics today." During the last few weeks, he said, Trump on four occasions has reiterated that his administration will not lift economic sanctions on Cuba unless Cuba introduces changes "in its domestic order." "Today, I say that Cuba will never agree to conditions or anything being imposed on this order," Rodriguez said. "We remind the president and his ambassador that this focus ... has never worked and neither will it ever work in the future. He will be one more president implementing a policy that means a return to the past." 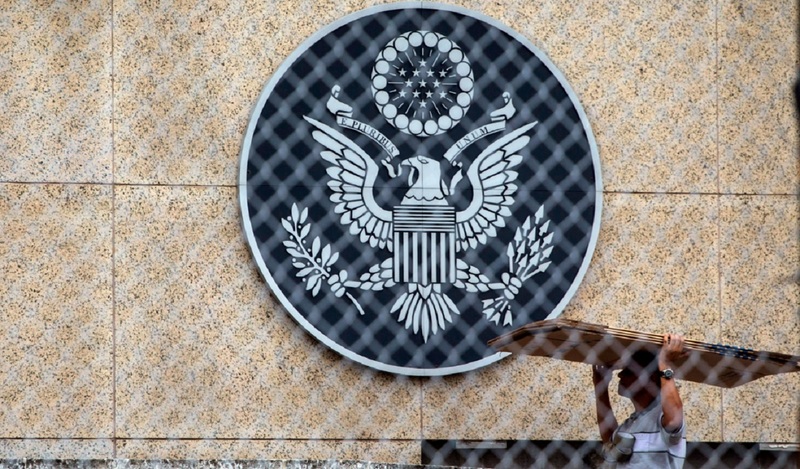 The vote came during an ongoing crisis over U.S. government workers in Havana harmed by invisible "health attacks" which has created a new rift between the U.S. and Cuba and put the restoration of ties in jeopardy. Since taking office, Trump has taken steps to partially roll back the rapprochement with Cuba, but has preserved many other changes put in place by Obama. 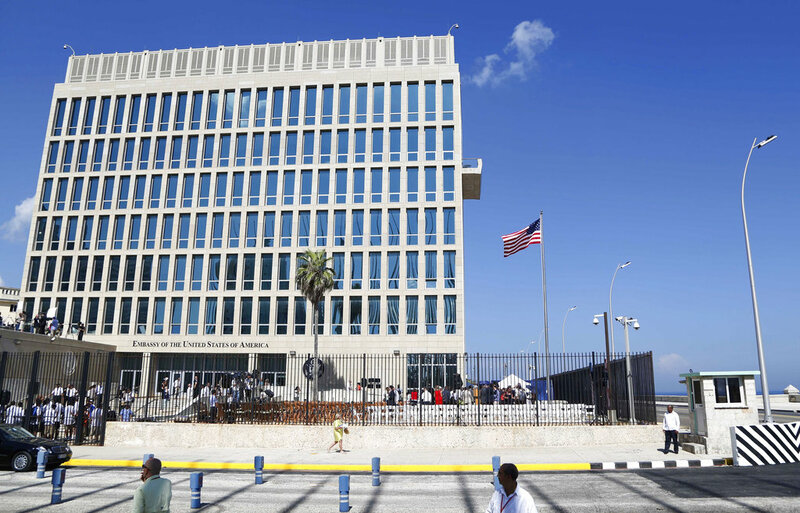 Yet Cuba has complained bitterly about the U.S. response to the health attacks, which has included pulling most American diplomats out of Havana and suspending visa processing for Cubans at the embassy there. General Assembly resolutions are nonbinding and unenforceable. But the 26-year-old exercise, in which the world body has overwhelmingly voted to condemn the embargo, does reflect world opinion and has given Cuba a global stage to demonstrate America's isolation on its Cuba policy — even after the Obama abstention. Before the vote, more than 20 speakers from all over the world supported the resolution and denounced the embargo.